UK Chief Vet Nigel Gibbens said he was expecting the H5N6 virus to move through migratory birds from Europe. 17 wild birds were found with the H5N6 strain on Friday January 12. The avian influenza H5N6 strain was picked up in 17 wild birds in south Dorset on Friday (January 12) and Defra said it expected to see more over the coming days. It is the first time the particular strain has been found during the winter of 2017/18 after previous backyard and commercial flocks were wiped out by a different H5N8 strain through spring and summer last year. 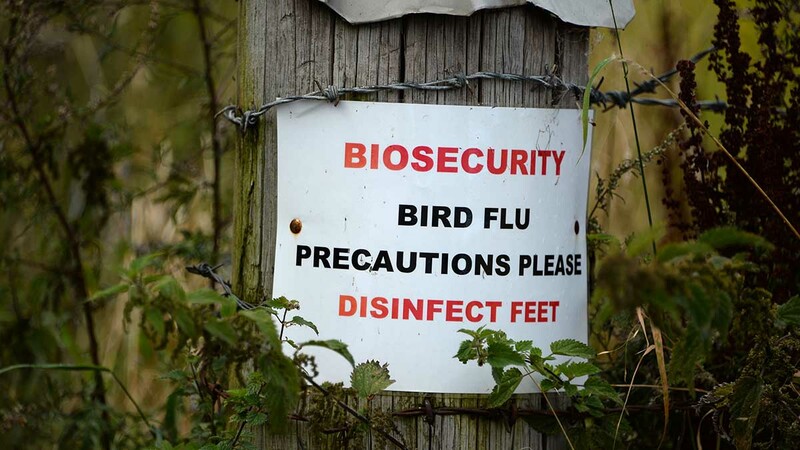 The outbreak aligns with advice given from UK Chief Veterinary Officer Nigel Gibbens who said the disease could return from migratory birds through the winter. He declared the UK officially free from bird flu on September 13. “This is the first time avian flu has been identified in the UK this winter and while the disease does not represent a threat to the public, it is high infectious and deadly to birds,” Mr Gibbens said. “As the virus has been circulating across Europe, this finding has not come as a surprise. In response to the outbreak, the government has enforced a local Prevention Zone in targeted areas of south Dorset, covering every keeper with poultry or captive birds. Mr Gibbens urged those in the Prevention Zone to put enhanced biosecurity measures in place, including feeding and watering birds indoors to minimise mixing with wild birds, minimising movement in and out of bird enclosures, cleaning and disinfecting footwear and keeping areas where birds live clean and tidy. The government said there were no plans to carry out culls or enforce movement restrictions but the zone will be in place until further notice with regular reviews. It confirmed trade would not be affected with regard to the World Animal Health Organisation (OIE) rules.